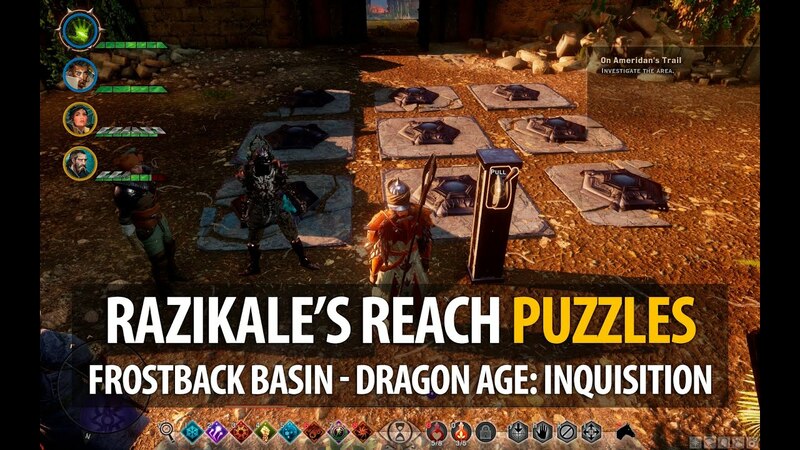 Frostback Basin Map - Jaws of Hakkon DLC - Dragon Age: Inquisition Walkthrough, Game Guide and Maps, with Quest and Locations of Camps, Merchants, Rifts, Ocularums, Astrarium, Dungeon Entrences, Landmark (POIs), Crafting Station, Mosaic Piece, Inquisition Agent, Secrets, Party Members, Bottle of Thedas and Codex Entry. 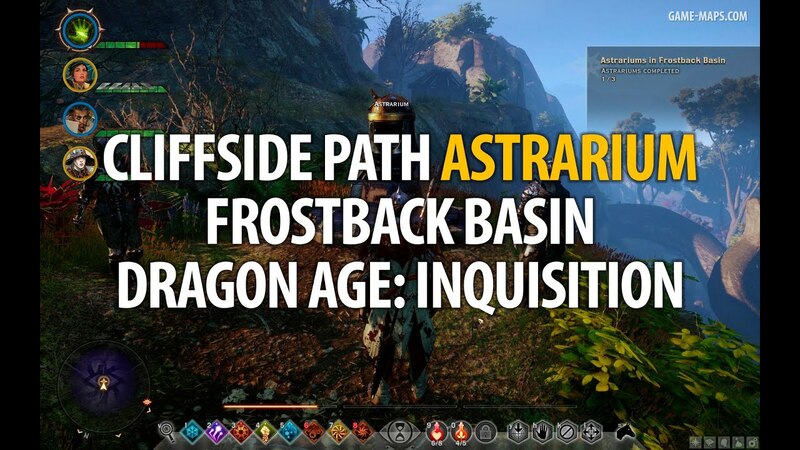 Frostback Basin Location will be available after purchase Jaws of Hakkon DLC. 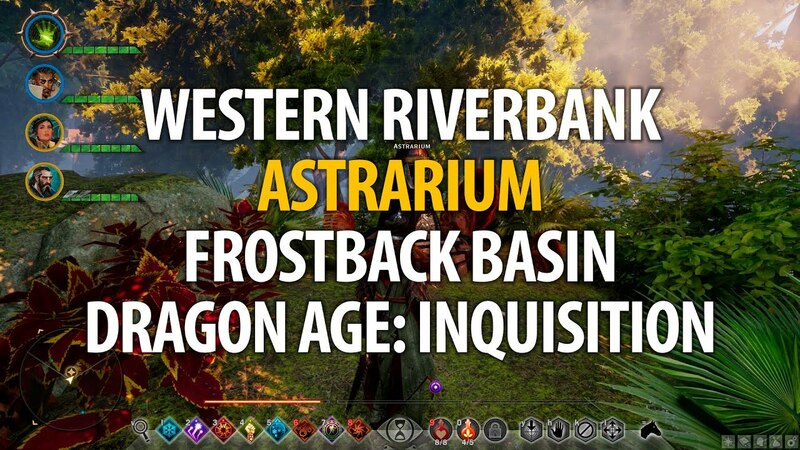 This is level 20+ location, but the difficulty of Frostback Basin should scale to the average level of your party, its set when you first enter location. In game, you have to be log in to your store account, for PC log in to Dragon Age Servers to update game content. Reach Skyhold. Check War Table for Investigate Frostback Basin Operation (cost:8). Complete it and get there. Throughout history, few have dared explore the Frostback Basin. Ancient Tevinter ruins lie overgrown by thick forest, their purpose here forgotten. Rare expeditions in ages past returned with little information-or did not return at all. The exception is the Avvar, who have long travelled the basin and, in more recent generations, established a hold along its steep mountain cliffs. Maybe I was trying to get out of the bet, but I happily paid the bill at the inn that night. I asked Halvor where he'd last traveled, and he said he'd been trading with an Avvar hold in Frostback Basin. Then he raised an eyebrow at the look on my face. So I described the stories Uncle told us as children, where brave expeditions get lost in places like the Western Approach, Nahashin Marshes... Frostback Basin. He laughed and admitted it could be a cruel place. He described thick forests-greater than any I've seen, I'm certain-and darkened swamps. His rule for traveling there seemed to boil down to "be wary and alert... because everything can kill you." The wildlife is violent, the cliffs are steep, and you must be mindful of the gods' wishes (here meaning his Avvar gods). Of course, the hunting's good, the trade fair, and the Avvar hold impressive. To Ambassador Josephine Montilyet, Thank you so much for your earlier correspondence. 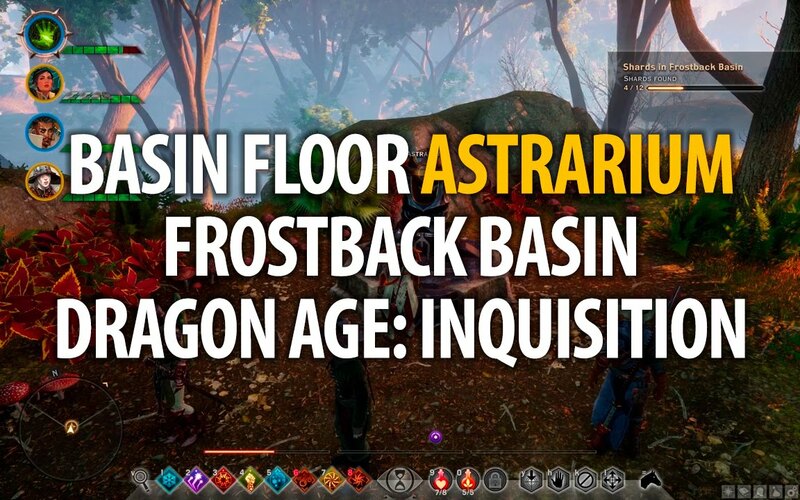 I confess it's been difficult to get those in Orlais to take this discovery seriously in light of recent events, but I am positive that scouting the Frostback Basin will yield historic discoveries beneficial to both the academic field and the Inquisition. As a staunch supporter, I am honored to be working in such great company on this historic occasion. Now that the Inquisition has established a presence in Frostback Basin, Professor Kenric has a lead on Inquisitor Ameridan, and Scout Harding can outline potential risks in the region. Speak with Professor Kenric. An active Fade rift has been spotted in the Basin Floor. Close rift. Establish 6 camps to hold Frostback Basin and support Inquisition activity in the region. Grandin, an Inquisition scout, has disappeared in Frostback Basin. Grandin's friend was recently murdered and Scout Harding is concerned about Grandin's safety. A mysterious island in Frostback Basin may yield clues to the region's past. Find a way to get to the island. A spirit - in the guise of Inquisitor Ameridan's lover, Telana - revealed that Ameridan traveled upriver. Go up the ledge and you'll find a hidden cave. An unnatural but strangely familiar cold emanates from a locked door within Frostback Basin. Unlock The Door. Monster: Fade-Touched Gurgut, good loot on the ground there. It is for A Father's Name Quest from . Talking to villagers in Stone-Bear Hold you will get a chance for two oerations. They will rise aproval for you. The Avvar of Stone-Bear Hold greatly respect Tyrdda Bright-Ax, the legendary founder of the Avvar. An earlier search located the spot where many of Tyrdda Bright-Ax's possessions were left (her body of course had been destroyed in accordance with how the Avvar deal with their dead). While her weapon (apparently a mage's staff rather than an ax) may no longer be available, Stone-Bear Hold would likely appreciate other relics found at the site. Skywatcher, the Avvar healer we encountered in the Fallow Mire, is evidently respected across many holds as a wise and practical man. He has expressed an interest in seeing Stone-Bear Hold. Having him pay the hold a visit on behalf of the Inquisition might garner more respect with them. Last step in this quest "Impress The Hold" will be possible after killing main enemy in Frostback Basin - Dragon Hakkon Wintersbreath, and it will be one of last tasks here. The Avvar hold-beast has vanished. Thane Svarah Sun-Hair cannot in good conscience fight the Jaws of Hakkon until the bear is returned. Speak with Avvar villagers to find out where the bear might be. For Storvacker Caged Quest after (37), talk to Svarah Sun-Hair. OPERATION: Too Grizzly To Bear. For Storvacker Caged Quest aks him about bear. The Avvar measure a warrior's worth by their skill in arena combat. Completing Hakkon's trials could increase the Inquisition's reputation in the hold. To finish Hakkon's Trials you have to complete Requisition an offering to bring to the arena. Use 2 x Everite and 2 x Silverite on Requisition Table in Inquisition Camp. A woman prepares bodies for sky burial at Stone-Bear Hold. Caldan Enversen's body should receive special rites; however, his son failed to complete them. As guests of the hold, the Inquisition may present the required offering as a gift. Speak with the Huntmaster . After visiting Stone-Bear Hold and talt to Svarah Sun-Hair, you will meet Linna here. QUEST: Up and Away this quest is for gain aproval from Stone-Bear Hold. They are magicaly closed now. You will open it finishing On Ameridian's Trail Quest. The Jaws of Hakkon have used human bones in some sort of magic ritual. Learning more about this magic could offer insight into their intent. Outside and inside Hakkonite guards. When you attack inside, reinforcements will come. Two massive doors on left and right can be opened by rogue and contain Loot. Four steel grating (without center) also can be opened by Rogue, they contain some loot and codex. NPC: Storvacker Lead bear outside. Outside, there will be trap waiting for you. Kill Hakkonites, bear will help you fight. After the fight Bear will go alone. While historical documents shed light on Orinna's time as Inquisitor Ameridan's companion, little is known of her early life in Orzammar. The Orzammar Shaperate contains an immeasurable wealth of knowledge pertaining to the thaig's past. Professor Kenric has made several requests to study their records, all of which were denied. As an ally of the Inquisition, Orzammar may be more willing to answer a petition from Skyhold. There are two more items to examine at courtyard. Closed doors in a corridor, you cant open them, its exit from The Old Temple, you will use it later in game. Boat for What Yet Lingers Quest. You need to talk to Fisherman Arvid  to take it. It will take you to mysterious island. Open Rift and talk to ghost. Take Loot. Use this ability to turn The Veil itself into a magical shield that deflects enemy projectiles. It can be upgraded in the Inquisitor ability tree. Right after you exit Shack enemies will come, kill them. Lieutenant Farrow has reports of Hakkonite camps along the river. Their hostile presence prevents the resupply of Inquisition encampments and makes travel through the region dangerous. Sigrid Gulsdotten exiled herself from Stone-Bear Hold. Though Sigrid refuses to explain why, it may still be possible to discover the reason. After examining Ritual Site , talk to Sigrid. Talk to Grandin, kill him and go back to Harding  to finish quest. After solving all 3 Astrarium puzzles, a cave will be revaled. Its on ground level. You need to find all shards using Ocularums and then open doors. Loot inside. Monster: Fade-Touched Spider. It is for A Father's Name Quest from . Kill enemies, search courtyard (2 items) and select "Wait for Professor Kenric" he will open doors. Two locked doors on left and right are optional and can be opened with pressplates puzzle in center. You can open this barrier using Veilfire. Veilfire its near, take wooden walkway to find it. Dispel barrier and enter room. Using Veilfire activate two power sources inside. To to the walls and Pull switch to activate a trail marker. After removing the magic barrier at  go to Svarah Sun-Hair  and tell her you are ready for Attack the Jaws Hakkon. Assault The Gate. Fight all enemies till you find entrance to The Old Temple. Dragon will be here after you exit from The Old Temple Location. After killing dragon go to Svarah Sun-Hair  to finish Guests of the Hold Quest. Inquisition soldiers face delays setting up camps due to interference from the local wildlife. Baron Henri-Pierre d'Amortisan believes his herb wards may keep the beasts at bay. Baron Henri-Pierre d'Amortisan and his scribe, Dunwich, are searching for the Nox Morta. With assistance, they may be able to prove the existence of this mysterious creature. For The Nox Morta Quest. You need Veilfire torch to gather Veil Quartz. Easy to gather, Veilfire is near. Hard to get, you will have to jump like kangaroo. Pages of neatly written, painstakingly detailed notes fill a well-worn journal. The notes break midway through for a list: Expedition to Frostback Basin. Preparations: - Reread Finding Ameridan (complete), - Review notes on appropriate excavation methods (complete), - Practice categorization of minute material artifacts (complete), - Read book on Frostback Basin (complete), - Practice camping (complete) (note: bring a pillow), - Reread An Anatomie of Various Terrible Beasts (complete), - Learn to fence-cannot find willing instructor,- Ask brothers for fencing/defense lessons-bad idea, - Read book on survival and defense (complete), - Bring towels (packed) - A few idle swirls follow, along with a tiny sketch of an elf defending a stack of papers from Various Terrible Beasts. The caption reads "Field Work." What is known about Inquisitor Ameridan would barely fill a page. He was a friend of Emperor Drakon. He was Inquisitor when the Seekers of Truth folded themselves into the Chantry as part of the Nevarran Accord, their Order serving as precursor to the Order of Templars and the Circle of Magi. Shortly after the accord was signed, between 1:22 and 1:24 Divine, Ameridan left his position and departed, never to be seen again. - Ameridan did not willingly cede power. Drakon forced the Seekers of Truth to disband upon pain of death, then removed the Inquisitor rather than suffer rebellion in the new Chantry's ranks. - Ameridan was forced to retire due to the still-young Chantry's restrictions requiring celibacy, as he was involved in a relationship with a mysterious "lady-mage" that the Chantry erased from history. - Ameridan was a rowdy noble who cared more for raucous entertainment than for the Seekers. He held the position only because Drakon wanted a loyal friend commanding the Order, and when the Seekers became part of the Chantry, Ameridan was free to retire to a life of hunting dragons and wenching. Firstly, Emperor Drakon, rightly acknowledged as the man who molded the Chantry into the organization it is today, was a pious man, committed to spreading the Chant of Light and creating a world where magic and men were governed by Andrastian principles. All sources agree that Ameridan was a close friend of Drakon, and while it is certainly possible that Ameridan was more pragmatic than pious, it is highly unlikely that Drakon would have befriended a figure who was actively opposed to the Chantry, much less tolerated such a man holding a position of power in the growing Orlesian Empire. Secondly, Inquisitor Ameridan was universally acclaimed as a powerful combatant, regardless of his supposed faith (or lack thereof). Rumormongers suggesting Ameridan was exiled ask us to believe that Emperor Drakon could see no use for a powerful warrior with years of command experience. Given that the Second Blight had been a fact of Orlesian life for more than 15 years at the time of Ameridan's disappearance, with darkspawn pouring from the Anderfels into northern Orlais in growing numbers, it is frankly absurd to suggest Drakon would casually dispose of such a military asset. Without further evidence, we may never know more about Ameridan's departure. Nevertheless, I hope that we may eschew the currently popular cynicism, at least when obvious evidence against it is presented, to see that his disappearance must have had some other cause. ...that moved against them were halted by the light from her most-assured hands. It was then she took her own counsel, in ways best not set forth here, and led the party away. Did Ameridan's eyes seek hers among those assembled as he relayed the events which led them there? If she stood among us, I did not know her. Yet his hand moved slightly at his side, as my own does when my wife is near and I seek wordless comfort in the touch of her fingers. We had all heard the whispers. Did he say her name in the telling? Would he have dared? Times were different, but have they changed so much? Excerpt from the writings of Lord Bescond, first put to the page in 1:48 Divine A letter follows: Kenric, This is a precise copy. The preceding pages were lost-or removed-ages ago. Bescond makes no further references to this woman, although Ameridan comes up several times later on. Bescond's writings, as they pertain to Inquisitor Ameridan, are not entirely unknown, although you're unlikely to find them among Chantry records. Their validity is largely dismissed. Some have questioned whether the so-called "light" and "counsel" reference magic or holy insight. And of course, Bescond wrote down his impressions many years after the fact. The author's own wife brought accuracy into question when she admitted her husband was recalling his youth in the Orlesian capital through nostalgia and age-distorted memory. I believe her admission is part of official Chantry record. Best of luck, M.
From an aged journal found in Frostback Basin: It still tastes strange. No matter. Several water-stained pages follow before the text resumes: Have we traveled through lands more remote than these? We must have. Yet I've never felt so removed from life back home as I do now. T. makes the same arguments as always, though adds a lack of demons as a point in her favor. Lack isn't absence-which I was quick to point out. She called me pithy. There are demons here, though not as many as we faced in those early years together. The Avvar have their mages too. The last were ill prepared for me. I wonder if that's the part that bothers her? O., as always, was no help at all. We push on. My head aches. The others are singing the song we learned at that lakeside town. I forget the name of the place. I think my eyes are about to explode. Of course, A. has noticed and tells the others he needs to read something. It's quiet now. The journey here took longer than expected. I must take stock of the rations. After sleep. There were more than expected. Everything has been more than expected. A few moments later, and O. would not be standing here. I was able to subdue the mage before things became worse. T. said nothing about it afterwards. She knows O. would have died. "At what cost?" T. asked me that once. I said it costs nothing, but I don't know. I met a man who'd fought longer than I, but his mind had faded with age, and he could not answer. The point remains that I can do more. I can be more effective. We've all seen the demons, what they did. We've seen what some would do with blood. The better question is, who pays the cost if no one takes this chance? And no one said it has to be forever. Just until things are settled. "If you count eight times, will the number change?" O. asks. She's been watching me these last few days, whatever she says to the contrary. Damned blue bottles. I did not plan this journey as well as I should. I lay trying to find constellations through the leaves. T. brought me some water. She just smiled, and there was no admonishment behind it. It made me feel somewhat better. As always, A. cooked our dinner while deriding my own ability to produce something edible. O. attempts to tell jokes-Maker, they're pathetic. Why do they make me laugh anyway? Long days behind. I fear there are fewer ahead. Whatever costs I've paid, they will be worth it. It doesn't matter. This night-safe beside a fire, the three of them singing that stupid song... I am content. The savages speak to their gods in the cave passage. They call it the Mouth of Echoes. They light fires and feed them with green spruce and shout their questions into the deep. They say answers come to them on the last whispered echo. Superstition, we laughed. And now Razikale is silent and madness descends. I can only think, what if? What if there are irregularities in the Veil here? What if we could secure the Avvar cave and bend it to our purposes? The slaves are gathering materials. We will build a shrine to the Dragon of Mystery-implant foci into the walls, cut sacred designs into the stone, the better to hear her with. We will hear her voice again, or we will die. Stole the land of Avvar keeping, stone-carved walls to claim their hold. Lowlands flee, their lands releasing. This appears to be a personal diary written in a very enthusiastic hand: Now all giant trolls are dangerous, but this one is a real beauty. We heard rumors about him down here at the southern edge of the Frostbacks, and we had to come get a look for ourselves. Rumor has it this big fellow has some sort of magic about him, and if so, we might be on the verge of finding out how giants came to be in the first place. Right, I've just come back from the big fellow's cave. It's got a strange feel about it, definitely some sort of magic. If giant trolls can do magic, that changes everything we know about them, and this fellow could be the key to teaching us more about these beautiful creatures. Now, it's not just the magic that makes him special. I found this special cloth in his cave, never seen anything like it. I can't tell whether the big fellow makes it or produces it like a spider makes silk, but it's amazing stuff. I've stashed some of it safely away in the damp cave, in case he can scent it like a bear. I'm going to go in tomorrow and try to see if I can get the big fellow to do some of his magic. It's dangerous, but I think it's worth it. Remember, if anything happens to me, it's my fault. I'm an intruder in his domain, and he's just being true to his nature! Thane Harofsen thinks he alone can work the words of lowlanders, as though the augurs had not learned the tale-drawing runes to study the old magic. He is blind, but the Jaws of Hakkon would not be here without him. A hold needs blind men with big blades sometimes. In the old times, the first Jaws of Hakkon spoke with the great spirit himself. He opened their eyes that they might see the elfstones hidden across the world, and they entered the old cave and learned the mysteries of winter. Their working of cold let them slip through the ice-wall that wards the lowlander fortress, and we must now do the same if we are to take it as our own. Hakkon has been silent all our lives. He cannot speak to us in dreams or open our eyes, and we remain blind to the elfstones. The lowlanders, though, have found a new way to see them. The skull of a dream-slain, set with the right magicks, can bring the elfstones to our sight. We will regain the mystery of winter. A voluminous pile of notes and observations. Half diary and half research notes, these parchments have no clear order, if they ever did. 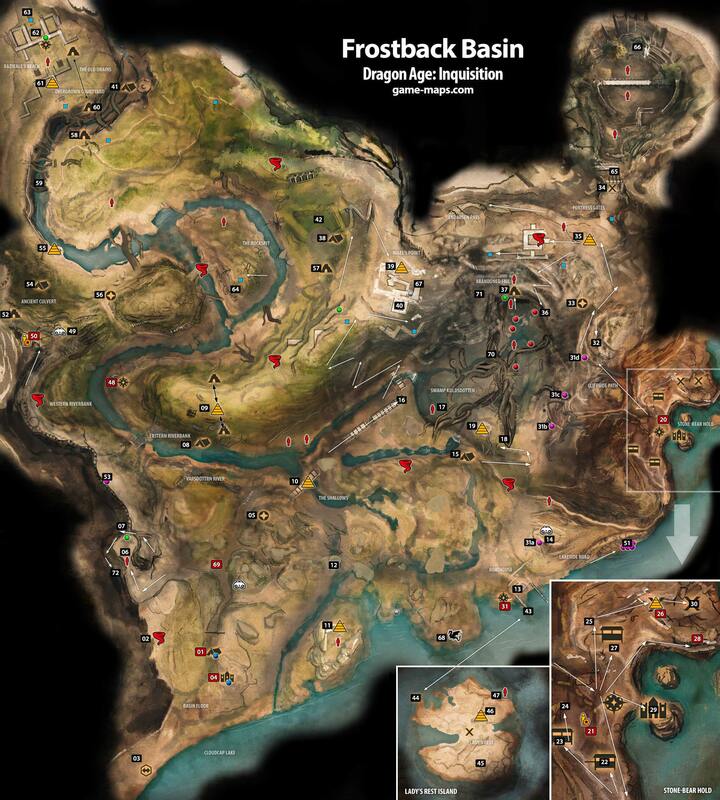 At the top, someone has written "Observations of the Mysteries of the Frostback Basin, and their Hidden Connection to great secrets buried by the Ages." We took steps to avoid the Hakkonites and stayed out of their way for the most part. It would've gone uneventfully had Pryce's inexperience not caused him to leave visible prints in the dirt. The Jaws of Hakkon used them to track us, and even Falker cannot throw them off the trail. Persistent bastards. We ended hiding amidst the moldy corpses and sun-bleached bones that littered the ground around a strange shrine. It was carved of stone and capped with what looked to be a dragon skull. Thankfully, when the Hakkonites traced us to the shrine, the sight of it made them stop short. They whispered amongst themselves, and their leader seemed to make a small bow of obeisance to the skull. They then abandoned the chase. We still don't know what it was about that shrine that made the Hakkonites balk. Perhaps we don't want to know. Trade honestly and well, and there will be coin for all. This is a fool's task. What lowlander would come this far for furs they have not seen? Ah, Korth, I just wrote that instead of saying it. This stupid lowland writing vexes the mind. The rest of the letter is a series of angry sketches of axes. It starts with a man: Ivar Jerriksen. Driven from their hold by war and misfortune, their thane dead, Ivar led what remained of his people through the mountains. The winter was harsh. The winds of Hakkon echoed through the peaks. The beasts fled, and the hunters could find little game. Ivar's people grew weak. They feared themselves cursed. When the blizzard struck, they built a meager fire and huddled for warmth. When the blizzard lasted three days, they knew that they would die. On the third night, while Ivar stood watch, he caught sight of a great grey bear through the snow. Though the beast was distant, Ivar could feel its eyes upon him and knew he must follow. Alone, he made his way through wind and snow. The great bear walked ahead of him, always distant but never out of sight. At last, the bear stopped. Ivar came to stand beside the bear and saw before him a sheltered place where his people might be saved. He reached out a hand to his guide, but instead of fur, he found grey stone. So Ivar knelt before the stone and gave thanks to Korth, for he knew the Mountain-Father had taken the form of a bear to guide him here. Ivar returned to his people and led them to the sheltered place. Ivar Jerriksen became Ivar Snow-Favored, and the people swore to honor him as their new thane. The hold was given the name Stone-Bear in honor of Ivar's vision, and in this place, we have grown strong.